Week 2: If e=mc2 then what of G2Earth? 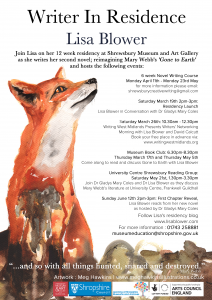 Shrewsbury Museum and Art Gallery will be welcoming Lisa Blower as its first Writer in Residence this Spring. Lisa, will start her residency with an empty desk and bare walls. Visitors will be able to observe her novel writing process from the beginning to the reveal of her first chapter on June 12th. 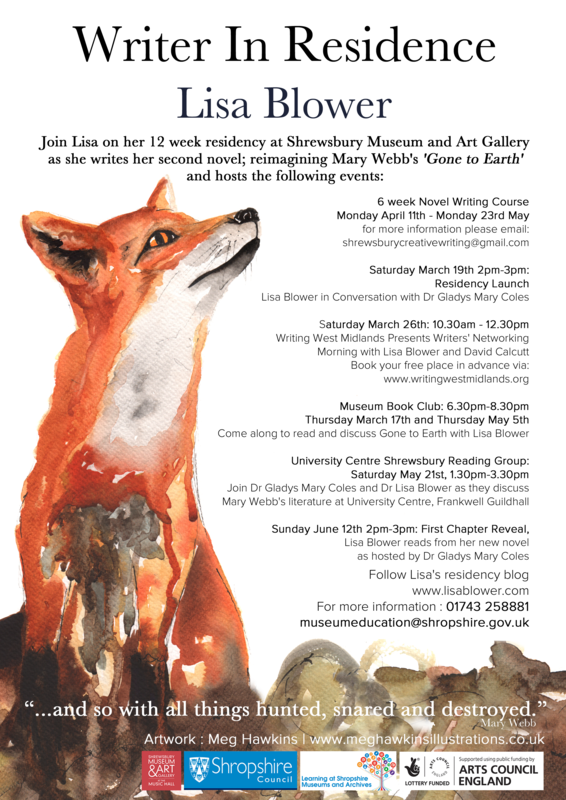 Over 12 weeks, she will publicly share her research, methods and practice, as well as hosting a 6 week novel writing course, launching the museum’s monthly book club, and be twice In Conversation with Mary Webb Society President and Mary Webb’s biographer, Dr Gladys Mary Coles. 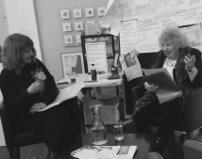 Visitors will be encouraged to write alongside Lisa via weekly creative prompts, and there is an open invitation to schools and colleges to come and see a writer at work and take part in a creative workshop with a qualified creative writing lecturer.